The enjoyable British mystery SEVEN SINNERS was written by the great team of Frank Launder and Sidney Gilliat, who would go on to write the screenplays for Alfred Hitchcock's THE LADY VANISHES (1938) and Carol Reed's NIGHT TRAIN TO MUNICH (1940). 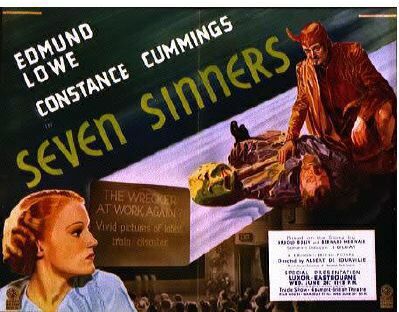 SEVEN SINNERS seems to be a trial run for both films, filled with witty repartee between the male and female leads, as well as plenty of action on trains. The film even features one of Hitchcock's favorite devices, an action scene in a crowded theater. 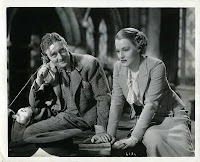 Edmund Lowe and Constance Cummings play an American P.I. and insurance investigator, respectively, who are in Europe with plans to investigate a case together in Scotland. However, bodies and multiple train crashes keep interfering with their plans, and they end up working on an entirely different and much more serious case than had originally been intended. I had a bit of trouble keeping up with the intricate plot at times, with vanishing bodies, someone reappearing in a new persona, and so on; as Lowe says at one point, "First I meet a dead man who’s alive and then I meet a living man who’s dead." It all gets a wee bit complicated, but it doesn't really matter, as the fun is in joining Lowe and Cummings on the ride. And each time they're around a train, the case grows even more interesting. Lowe was considerably older than his costar, but he's very energetic and they have excellent chemistry together, bantering back and forth from the moment they meet. A scene where they visit a registry office and must pretend they're a married couple interested in registering their infant's birth is quite amusing, as is a moment where a jubilant Lowe thanks Cummings by kissing her cheek. Constance Cummings, the star of many American pre-Code films, relocated permanently to England in the mid-'30s, save for periodic stints on Broadway. 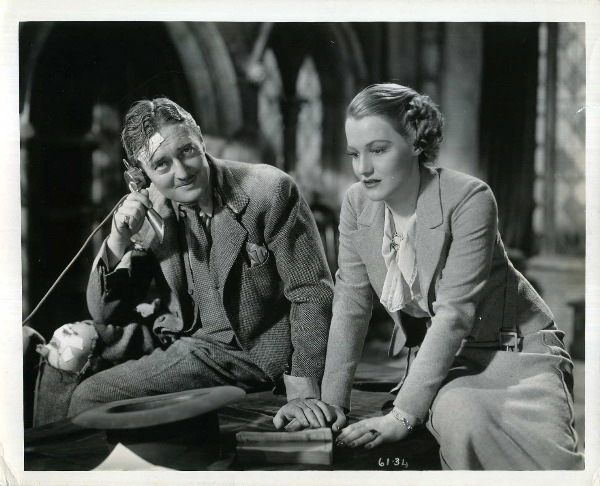 She reminds me a bit of Madge Evans, and in fact would appear with Evans' frequent costar Robert Montgomery in the British-made Lord Peter Wimsey mystery, HAUNTED HONEYMOON (1940). She also notably appeared in BLITHE SPIRIT (1945) with Rex Harrison and Margaret Rutherford. The supporting cast includes Felix Aylmer, Thorny Bourdelle, Joyce Kennedy, and O.B. Clarence. SEVEN SINNERS was shown in the U.S. as DOOMED CARGO. The running time is 67 minutes. The film was directed by Albert de Courville. SEVEN SINNERS has been released in the United States on VHS. A Region 2 DVD appears to be the film's only release on DVD. It's also currently available on YouTube. 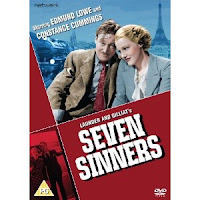 SEVEN SINNERS is a film which deserves to be better known, both for its place in the development of the British mystery/romantic comedy and also for its own sake, as a quite enjoyable film. 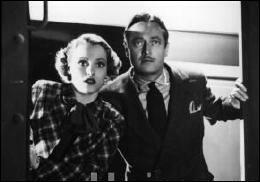 One Amazon reviewer says the film "plays like the missing link between THE THIN MAN and THE LADY VANISHES." Another reviewer calls it "shockingly little known and unfairly neglected...Finding a little gem like this one is why film buffs keep looking through rare video catalogs." David L. Vineyard of Mystery File writes "Highest recommendations for this first rate comedy mystery. This is how it should be done, smart, witty, and moving at a gallop...See it. It's well worth the effort." Special thanks to Kristina for making it possible for me to see this film! "And each time they're around a train, the case grows even more interesting." Oh, man - that I have got to see. The next hour the kids let me have on the computer I'm heading over to YouTube. I would like to see it, per our discussion, let me know. In general it seems like their films are not appreciated enough and/or are hard to get.